Bill Mollison and Geoff Lawton are coming to Istanbul, the ancient city flanking the strait of Bosphorus – the edge between continents, climates and cultures – to deliver a PDC (Permaculture Design Certificate) course. This is the first event bringing the two legendary permaculture teachers together in the Northern Hemisphere. The full 72-hour PDC course starts on the 21st of November and ends on the 4th of December 2010. Since the first Permaculture Design Course was offered in 1972, people from widely diverse backgrounds and interests have graduated. Farmers, ranchers, landowners, foresters, landscape designers, architects, builders, planners, developers, accountants, financiers, bankers, publishers, attorneys, aid workers, educators, environmentalists and high school students have all brought Permaculture techniques into their homes, businesses and communities. This course is for anyone interested in gaining practical skills and perspective for sustainable living and productivity. The Permaculture Design Certificate course is an internationally-recognized, seventy-two hour course resulting in a Permaculture Design Certificate. It provides an introduction to permaculture design as set forth by movement founder Bill Mollison. The Cirriculum is Based on all Subjects in: “PERMACULTURE: A Designers’ Manual” by Bill Mollison. Students are invited to bring details of their own sites or potential sites to consider during the course. We have started PRI Turkey and giving courses (Introduction to Permaculture) since May. Here, interest in Permaculture is groving fast.. 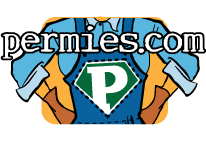 There is an e-mail group of permies to share everything related with Permaculture. Within this year there has been several courses with Max O. Lindegger, Steve Read, Penny Livingston, Emet Degirmenci and Mustafa F. Bakir. Friends from Sineksekiz are is about to publish "Introduction to Permaculture" in Turkish. And we started translating the Desginers' Manual.